Varun, an IT professional working in Technopark, was finding himself with an upset stomach every night. While normal medical checks revealed nothing wrong in him, deeper probes revealed the reason – his stomach was collecting significant amounts of wax. 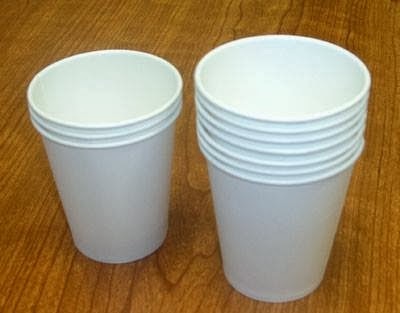 And doctors identified the villian – the ordinary disposable paper cups he used for drinking his tea at his office pantry. You can try to bring your own glass cups. Glass is one of the least reactive materials in the world (remember acids are stored in glass vessels, blood samples are collected in glass plates – these are for a good reason). But glass does have the problem of breaking easily, so it requires good care. Ceramic cups are probably the best bet. Of course, you can also use your ordinary stainless steel glass, but never use plastic ones – they are harmful, and its dangers are even worse than wax !